Results-oriented NY Car Accident Lawyer Legal Services. If you were harmed at the hands of another motorist, you don’t have to go it alone. Automobile accidents can be traumatic and in tragic cases fatal. As you heal and recover from your injuries you may have many questions about the process that lies ahead. We can assist you with navigating the challenges you may be facing after your accident. As your NY Car Accident Lawyer on Long Island, we can provide you with the assertive and results-oriented approach your case deserves. Laws are in place to protect accident victims harmed by negligent drivers. As NY car accident lawyers, we have handled many cases involving car accidents on Long Island and throughout the NY metropolitan area. We will see to it that you receive assertive legal assistance after your accident and ensure you are compensated for pain and suffering for medical bills, pain and suffering for a car accident, and lost wages. Being involved in a car accident will likely be a jarring experience. In the moments after a collision, you’ll likely feel disoriented, upset, and overwhelmed. It’s a great idea to keep a checklist with your registration and insurance documents, so you can go through a step-by-step predefined plan at the accident scene. First and foremost, seek immediate medical attention for any injuries. Call 911 and let the operator know if you or anyone else was noticeably injured. The health and safety of everyone involved in a collision is the number one priority. Once medical and safety issues have been addressed, call the police. (They’ll likely arrive if EMS is contacted.) You’ll be asked to provide a statement to law enforcement, and if you believe any of the other drivers involved in the car accident was under the influence of drugs or alcohol, say so. Gather information from those involved in the car accident. Your insurance company will likely request the names, addresses, phone numbers, and insurance information of everyone at the scene, including other drivers, passengers, pedestrians, and witnesses. In addition to their contact information, make a note of any visible injuries sustained by those involved, and if they report they are fine or decline medical attention, make a note of that too. Create a written record concerning the details of the car accident. Record the weather conditions, if anything seemed unusual or out-of-sorts at the accident scene (a missing stop sign, an out-of-service traffic signal, etc.) Make sure to take note of the make, model, and license plate numbers of all of the vehicles involved. If possible, take photos at the scene of the car accident. In addition to the vehicles and the surrounding area, snap photos of any skid marks, traffic signals or signs, and anything else you think could be pertinent. If anyone accepts blame for the accident, make sure you write this down. Admission of guilt at the scene can be extremely important later when you’re building your case. Our smart phones have become an extension of our hands. Checking your phone while you are driving is just as dangerous as driving while intoxicated. Any time your attention is taken away from driving you are putting yourself and your passengers are risk, as well as the people and drivers who are around you. The best thing to do while you are driving is to shut the phone off and put it someplace out of reach, like the glove compartment or back seat. Sometimes this isn’t practical since most people use GPS applications on their phones. If this is the case, purchase a phone mount so you see the phone as you would with other GPS units. It is best if you turn off all notifications so you are not tempted to reach over and check new emails and texts as they come in. Additionally, there are functional alternatives that make phones safer while driving, such as driving mode and voice commands. These functionalities let you keep your hands on the wheel, while utilizing your phone in a safer manner. If you’re moderately to severely injured, you should absolutely seek immediate medical care. If EMS arrives at the scene and encourages you to go to the hospital, follow their instructions. Even if your injuries look worse than you feel, it’s important to take your health and safety seriously. If you aren’t injured, it’s still a good idea to undergo a medical examination. You might not need immediate transport to the ER, but scheduling a doctor’s visit in the days after the car accident can provide peace of mind. It’s possible to be injured in a car accident without having any immediate symptoms. 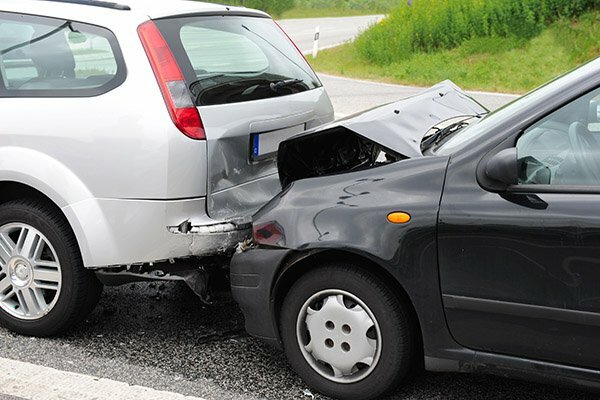 For instance, you might not recognize the signs of a concussion or brain injury, but according to the Centers for Disease Control and Prevention, 14 percent of all TBI-related emergency room visits, hospitalizations, and deaths occurred because of motor vehicle crashes, making collisions the third leading cause of TBI. Having record of a doctor’s exam will also strengthen your legal case in the long run. Should any medical problems creep up down the road that are linked to the accident, you’ll have a record of your examination and a professional opinion concerning your health. As a premier NY car accident lawyer, Elan Wurtzel recommends obtaining an official doctor’s exam after a car accident. If you get into a car accident, there are a lot of things that will happen almost right away. There may be police and EMTs and calls to insurance companies and it can all be overwhelming. Here are some tips for when you are involved with a car accident. The most important thing is to make sure you are alright. With the adrenaline rush of the accident and certain injuries that may not be apparent right away, you need to take care of yourself. Get medical attention right away. You should always call the police in the event of an accident, even if there are no injuries. You will need those police reports for insurance purposes. You will also want someone who is impartial to document the events. Exchange Insurance and Registration information. You should always get basic information from people involved in an accident. Get names, address and telephone numbers, but the most important information is the insurance and registration. Obtain the names and addresses of witnesses. Besides getting information from the other people involved in the accident, you will also want to get the names and addresses of witnesses to the accident. They may be an important part of gathering all of the facts in the case. Don’t discuss the accident with anyone other than the police. When the police arrive tell them everything that has happened. If you do not remember what happened, tell them that as well. Most importantly, as the TV cliché says, just the facts. Do not embellish, speculate, guess, or worst of all, lie about the events that lead to the crash as well as anything that may have happened after the crash. It is also very important not to discuss the accident with anyone else, only the police. When relating the events of what happened, keep to the facts of what happened, but in no way, admit fault. Do not get into a conversation about the accident and cause yourself problems by saying something that you should not have said. Report the accident to your insurance company or employer. Notify your insurance company as soon as possible. Many policies require immediate notification and full cooperation. If you were driving as a part of work and you were in a company owned vehicle, contact your employer right away. Take as many pictures as you can. Take pictures of the site, the crash, the damage, the injuries and anything else that may be of interest. If the police are on the scene, do not get in the way of their investigation. If Emergency Service workers are on the scene, do not interfere with the work they are doing. If you cannot get pictures of the are right away, get them as soon as you can. Follow up with medical care for your injuries. Make sure you continue to take care of yourself and see whatever doctors you need to see. Make sure to document every doctors visit and keep a record of all of your expenses and bills related to the accident. This includes lost time at work. You may be eligible to receive financial compensation that will help cover your medical bills and other related expenses after your car accident. It is important to have a NY car accident lawyer by your side to ensure that you receive the maximum amount of financial compensation for your unique situation. Elan Wurtzel, Attorney at Law will help guide you through the complex legal process the follows a car accident. Contact us now for a free consultation! Quality representation you need... Respect, compassion, and attention you deserve. * If you are visualy impaired, please call our office for assistance. How Much Money Can You Get For a Slip and Fall? I Was Hurt On My Bike. What Now? Attorney Advertising: The information you obtain at this site is not, nor is it intended to be, legal advice. You should consult an attorney for advice regarding your individual situation. We invite you to contact us and welcome your calls, letters and electronic mail. Contacting us does not create an attorney-client relationship. Please do not send any confidential information to us until such time as an attorney-client relationship has been established. Copyright © 2019 Elan Wurtzel, Esq. All Rights Reserved.